It’s easy to procrastinate when you notice a minor issue with the way your garage door operates. However, we don’t recommend that you do this. 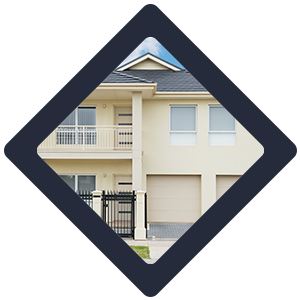 Contacting Elite Garage Door Service right away means that we can address the problem before it becomes larger and more problematic. 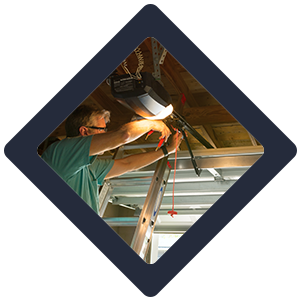 We also advise you to never attempt garage door repairs on your own unless you have had specialized training. You may think a problem like a broken pulley would be easy to fix, but most repair issues are more complicated than they appear at first. At Elite Garage Door Service, our goal is to exceed the recognized standards of service in the garage door repair and installation industry. One way we do this is by providing routine inspections and maintenance for our customers. This is a practice we highly recommend. When we inspect your garage door, we look at all of its moving parts and repair anything that isn’t performing at 100 percent. You might be surprised at how much this saves you in repairs and increases the lifespan of your garage door. Your garage door lifts and closes due to the coordination of many complex parts. If one of its parts is broken or malfunctioning, the entire door may not work properly. While we understand this can be frustrating, we urge you not to start repairing the door on your own. 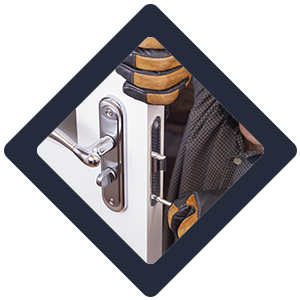 In addition to having a high risk of injury, you may also damage the door to the point where it can no longer be repaired. 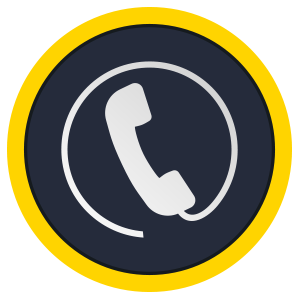 You just need to call Elite Garage Door Service in Brooklyn, NY whenever you notice the problem and we will be there shortly to help you. As part of our inspection process, we examine the garage door remote, cables, tracks, and other components to ensure safe operation. 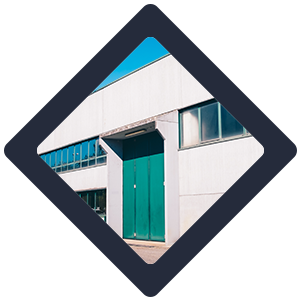 It requires hands-on specialized training to understand the function of each mechanical garage door part as well as how they work together. 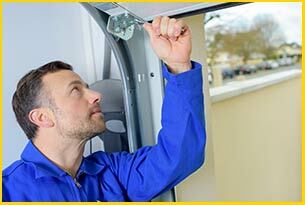 We always provide immediate repairs if we notice an issue with anything during inspection. Some of the specific functions we may complete include tension spring adjustment, adding lubrication, and removing and replacing parts that are worn from years of daily use. Hitting your garage door as you are backing in or out of the garage is a dramatic example of how it could become damaged. It’s more common for us to see damage due to parts wearing down over time. We can appreciate that how your garage door sustained damage isn’t really important. You just need it fixed, no matter what time it is. When some of its parts aren’t working, the garage door may fall suddenly and cause a lot of destruction. A damaged door also leaves you vulnerable to security risks. We understand this and will fix the problems as swiftly as we can. Every garage door has tracks on the right and left sides that allow it to open and close on command. If it comes loose from the tracks, you won’t be able to fully open or close the door. One reason this happens is that garage door cables snap without warning due to the wear they experience from daily use. Another reason they can snap is due to extremely hot or cold temperatures. Garage door cables tend to break on either the right or left side while the door is in the process of lifting. 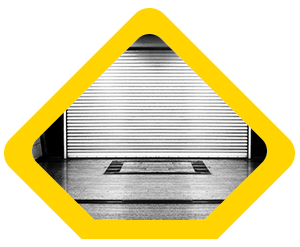 A third common reason for a garage door going off-track is because an object is in its path. Regardless of the cause, the professional service technicians at Elite Garage Door Service have the tools and the know-how to get the tracks back in position. As with all other types of garage door problems, please don’t attempt to repair the tracks on your own. The garage door could crash down on you if you do. 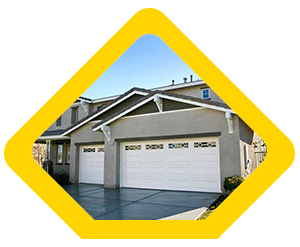 Our experienced professionals know just what to do so you can re-gain access to your garage. The tension strength of your garage door springs must be equal to the weight of your garage door for them to operate as safely as possible. This means that a garage door weighing 150 pounds requires springs with tension strength that is also 150 pounds. Even a slight variation in weight differences could cause the springs to break with little warning. If you think this may be an issue with your garage door, contact Elite Garage Door Service right away and we will get the weight difference stabilized for you.